MakerSpaces are popping up at schools, libraries, camps, after school programs and youth centers across the country. They provide hands-on collaborative workshop-style learning allowing participants to gain practical experience in an environment that encourages problem solving. 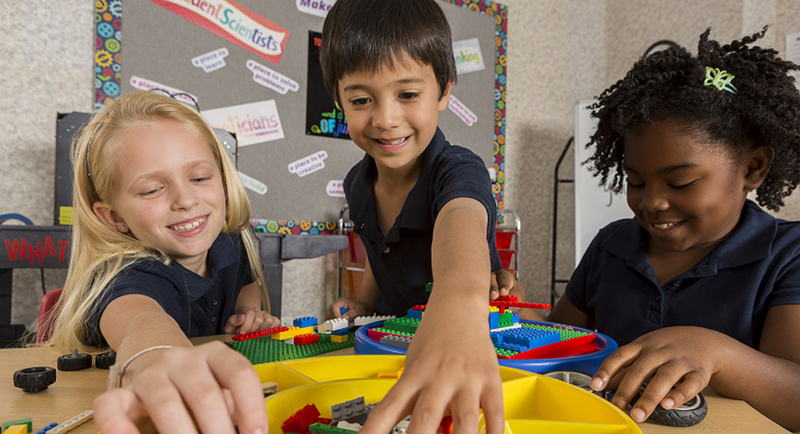 Diversity of activities is critical to their design; they often embody science, technology, engineering, mathematics and creativity with the option for focused activities or free play. There isn’t a one-size fits all template for MakerSpaces, instead they are as unique as the space and individuals involved. If you are thinking of creating a MakerSpace, here are our five steps for setting up your MakerSpace. or even a corner area will work. Looking for the perfect list of MakerSpace supplies? There isn’t one! Possibilities are endless, just like the activities. Take into consideration the age of the participants, skill levels and interests. You also have the option to create a high-tech or a no-tech space. Many MakerSpaces allow members to explore new tools, our 3D printers, robotics, bulk craft supplies and craft kits are perfect places to start. There are many options for themes such as robotics, building, crafts and technology. To allow for successful inventing and creating, organization of supplies is key. Clear plastic containers and drawer cabinets are great for easy access to variety of supplies. You want to remove the frustrations of digging through a box of supplies to find craft sticks buried at the bottom. Creating an exciting but achievable project may seem daunting. Start slow, let participants explore the materials in their space and play with supplies to see how they can work together. After a while, bring in small challenges for the children to try such as making a game from a cardboard box or move a marble across the room without using your hands. Looking for a few quick all inclusive kits with challenges, check out our selection of craft and science kits to get started. Create an environment where it is acceptable to fail. Sometimes adults try to help problem solve, but it is important to allow growth through failure and exploration. The process to get to a solution is often the best part of making!